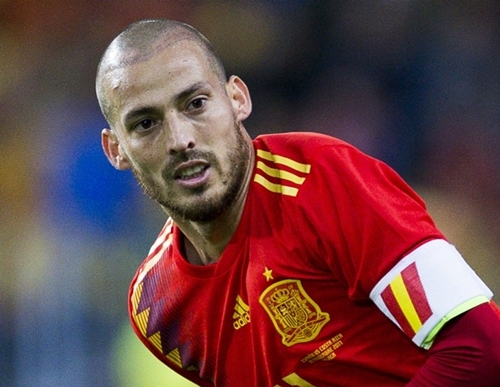 After 125 games, one World Cup and two European Championships, David Silva has decided to end his international career as he announced his retirement with immediate effect. Manchester City's Spain midfielder, David Silva has announced his retirement from international football, according to BBC Sports. The 32-year-old Silva won the 2010 World Cup and 2008 and 2012 European Championship titles and played 125 times for Spain after making his debut in 2006. He said he was "very proud" of his achievements with La Roja, and that the decision to retire was "one the most difficult of my career". "I lived and dreamed with a team that will forever be remembered. It has not been easy, after all I've experienced, to write these lines," he wrote in a social media post. "I've spent days and weeks considering this. The national team gave me everything and helped me grow as a player and a person. "I leave proud and happy, bringing an end to a time full of emotions and memories, like of the figure of Luis Aragones, a maestro who will never be forgotten."